Workplace inspection is an essential health and safety prevention tool; it gives the opportunity to identify hazards and to follow up on corrective actions to previously identified harzards. Should an accident in the workplace occur employers need to learn from these events to prevent any re-occurences. The investigation of an accident aids us to identify its root causes as well as the best hazard controls that should be put into place so that such an accident never happens again. The Inspection and Investigation Programs are health and safety core programs that must be implemented in all workplaces prescribed by the legislation. The Occupational Health and Safety regulations set out the general requirements for workplace inspections and investigations as well as specific requirements for the inspection of the personal protective equipment, machinery, equipment, tools, or other devices used in the workplace. This document contains information about the general regulatory requirements for inspection and investigation. Equipment/device-specific regulatory requirements are part of the equipment/work process-specific documents. 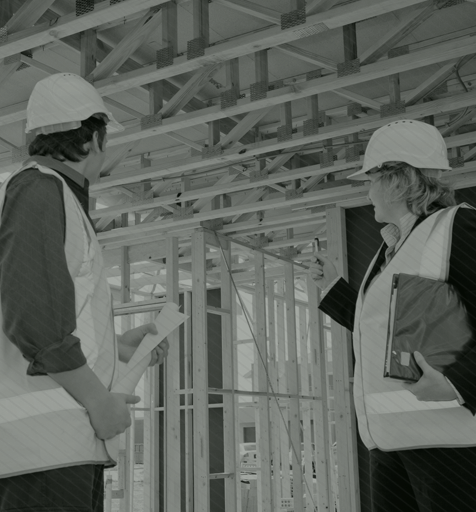 Permit any worker or group of workers to consult with an officer during an inspection. However, a diligent employer should investigate all incidents, regardless of their severity or outcome, in order to determine what went wrong and eliminate the risk of re-occurrence. The employer must allow workers to participate, by representation, in investigations conducted by a health and safety officer. An employer must make sure that no person interferes with the scene of the accident that resulted in the death of a person until an officer completes the investigation, unless the interference with the scene is needed to save a life, relieve human suffering, or is authorized by an officer or other statute. any long-term action that will be taken to prevent the occurrence of a similar accident or dangerous occurrence or the reasons for not taking action. Cooperate in investigations as required. This requirement is also valid for contractors and owners. the health and safety representative. The term incident may be used to cover an unexpected event that did not cause injury or damage but had the potential to, (e.g. near-misses, dangerous occurrences), as well as unexpected events that result in injury (e.g. critical incidents, accidents, fatality). Owners and contractors are also responsible for the investigation of dangerous occurrences. the co-chairpersons of a committee or the representative for the place of employment at which the accident occurred or their designates have inspected the site of the accident and agreed that the wreckage, article or thing may be moved. (d) comply with this Part and the regulations made pursuant to this Part. (b) the occupational health committee has investigated the matter and advised the worker otherwise. (b) follow the safe work practices and procedures required by or developed pursuant to these regulations and any other regulations made pursuant to the Act. (2) An employer shall permit any worker or group of workers to consult with an officer during an inspection or investigation at a place of employment. (3) An employer shall ensure that any time in which a worker consults with an officer, assists an officer or accompanies an officer during an inspection or investigation is considered as time at work and that the worker loses no pay or other benefits. (j) a procedure to review and, where necessary, revise the occupational health and safety program at specified intervals that are not greater than three years and whenever there is a change of circumstances that may affect the health or safety of workers. (2) On and after January 1, 1998, the places of employment set out in Table 7 of the Appendix with 10 or more workers are prescribed for the purposes ofsection 13 of the Act . (c) in a place of employment with 10 or more workers but not more than 20 workers, January 1, 2000. 28. (1) An employer, contractor or owner shall enable members of a committee or a representative to inspect a place of employment at reasonable intervals determined by the committee or the representative and employer. (ii) if the employer, contractor or owner has not taken any actions pursuant to clause (b), the employer's, contractor's or owner's reasons for not taking action. (c) where there is no committee or representative, the employer. (e) any long-term action that will be taken to prevent the occurrence of a similar accident or the reasons for not taking action. 30. (1) Unless expressly authorized by statute or by subsection (2), no person shall, except for the purpose of saving life or relieving human suffering, interfere with, destroy, carry away or alter the position of any wreckage, article, document or thing at the scene of or connected with an accident causing a death until an officer has completed an investigation of the circumstances surrounding the accident. (b) the co-chairpersons of a committee or the representative for the place of employment at which the accident occurred or their designates have inspected the site of the accident and agreed that the wreckage, article or thing may be moved. (c) where there is no committee or representative, the employer, contractor or owner. (e) any long-term action that will be taken to prevent the occurrence of a similar dangerous occurrence or the reasons for not taking action. (n) wholesale baking, dairy products, soft drinks and food preparation and packaging. (h) the failure of an atmosphere-supplying respirator. (2) An employer, contractor or owner shall give notice to the division as soon as is reasonably possible of any dangerous occurrence that takes place at a place of employment, whether or not a worker sustains injury. (d) the name, telephone number and fax number of the employer, contractor or owner or a person designated by the employer, contractor or owner to be contacted for additional information. (4) An employer, contractor or owner shall provide each co-chairperson or the representative with a copy of the notice required by subsection (2). (iii) the requirements of these regulations. (c) a worker is working alone. (c) ensure that any condition relevant to the health or safety of workers on succeeding shifts is recorded in the shift record. 29. An employer must ensure that each worker inspects his or her worksite and equipment for defects and unsafe conditions at the beginning of each shift, and as necessary after that, to ensure that the worksite and equipment are safe. (b) as soon as is reasonably practicable, take suitable action to correct the defect or unsafe condition. (b) as soon as is reasonably practicable, report the condition of the worksite or equipment to the employer. (r) the failure of an atmosphere-supplying respirator. (2) An employer, contractor or owner shall give notice to the division as soon as is reasonably possible of any dangerous occurrence that takes place, whether or not a worker sustains injury. (5) An employer, contractor or owner shall ensure that every dangerous occurrence is investigated and a written report prepared in accordance with section 31 of the OHS regulations.